The new World Health Organization (WHO) Regional Director for the Western Pacific Dr Takeshi Kasai this week met with leaders, partners, and communities in the Pacific to discuss critical health challenges and solutions. “Every Pacific island is different and each has specific health challenges that require tailored approaches,” said Dr Kasai. “At the same time, what I’ve seen and heard throughout the past year—including during visits to hospitals, clinics, schools and communities in Fiji and Kiribati this week—is that to better support the people of the Pacific, we must do more to address the impact on health of climate change, tackle the high burden of noncommunicable diseases like diabetes and high blood pressure, and improve preparedness for disasters and outbreaks,” he added. “Under his leadership, our dedicated teams in Suva, Honiara, Port Vila, Apia, Tarawa, Pohnpei and Nuku'alofa will continue working closely with governments and partners to address each islands’ unique challenges,” she said. Disease outbreaks, natural disasters and climate change increasingly affect the Pacific. In 2018 alone, there were more than 20 infectious disease events and 12 public health disasters in the Pacific. In addition to the loss of lives, these events often cause widespread economic and social disruption. “These hazards threaten national and regional health security. They impact directly the health and safety of communities, and seriously disrupt health services, as responding can be both logistically and financially draining,” said Dr Kasai. The WHO Health Emergencies Programme team in Fiji works closely with governments and regional partners to develop practical solutions and strengthen capacities to detect, assess and respond to emergencies. 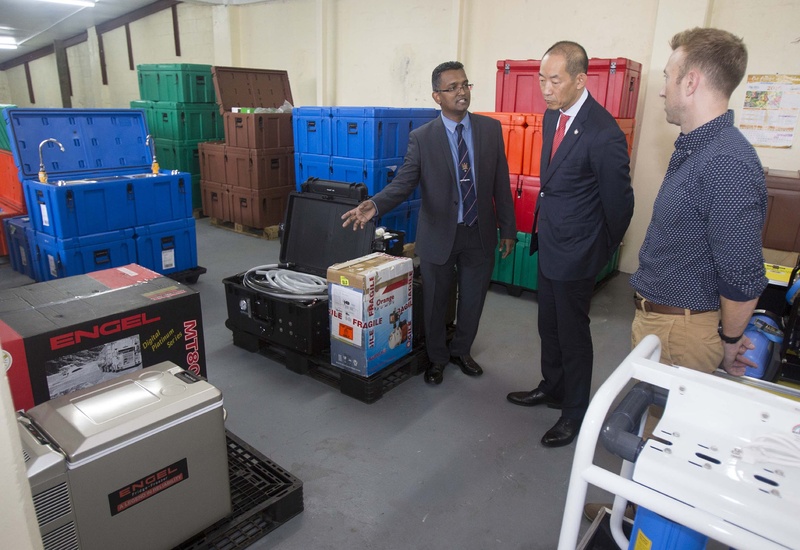 “When disaster strikes, we’re ready to deploy our team of trained emergency response professionals, as well as medical supplies and other resources, to help governments and communities in need,” he said.